Any type of operation or surgery is a complex procedure and needs lot of planning, preparation & support. This range of innovative products provides the required support at various stages. With their help any critical requirement arisen during operation could be easily fulfilled. Features 5 shelves, three adjustable shelves. Drawer with lock at bottom, Cylinder holder. Overall approx. size : 850mm W x 600mm D x 1440mm H.
5 shelves, three adjustable shelves. Drawer with lock at bottom, Cylinder holder. Electrical board with eight switches & sockets. Trolley mounted on four non-rusting 125 mm dia. Polyurethane Wheels 2 with brakes and 2 without brakes. 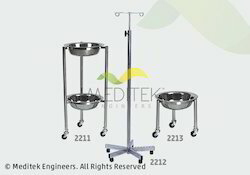 Alternative 2202 in stainless steel framework & trays. Overall approx. size : 850mm W x 600mm D x 1440mmH. 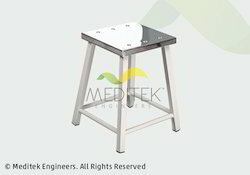 Features SS 304G Rectangular & Square tube frame. 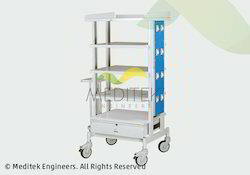 Trolley mounted on 50mm-dia wheels. Overall approx. 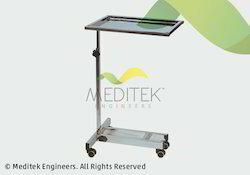 size : 760mm L x 570mm D x 850mm to 1300mm H.
SS 304G Rectangular & Square tube frame. 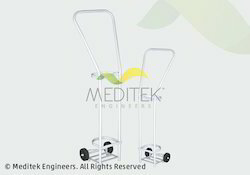 Trolley mounted on 50mm-dia wheels. 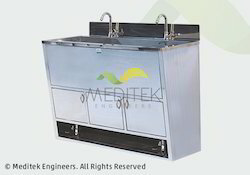 Features Provided with tap & foot valves Storage compartment Also available as per customers requirement. Also available as per customer’s requirement. Features Also available as per customer requirement. Overall approx size : 1220mm L x 505mm D x 610mm H.
Features SS top & bottom shelves with railing on top. 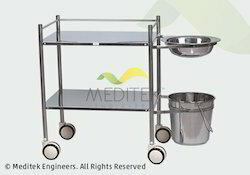 Trolley mounted on 100mm-dia non-rusting castor. 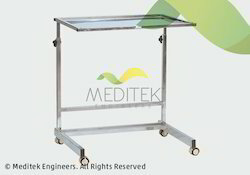 Overall approx size : 740mm L x 490mm W x 840mm H.
Approx 25mm-dia SS 304G tubular framework. SS top & bottom shelves with railing on top. 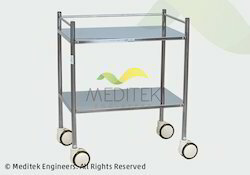 Trolley mounted on 100mm-dia non-rusting castor. 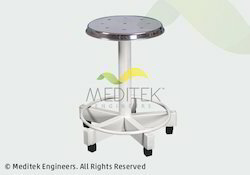 Features Trolley mounted on 100mm-dia non-rusting castor. SS bowl 360mm-dia, SS bucket 300mm-dia. Overall approx size : 1080mm L x 490mm W x 840mm H.
Approx. 25mm-dia SS 304G tubular framework. Two SS shelves with railing on top. SS bowl 360mm-dia, SS bucket 300mm-dia. Features SS tray in head low position. Modular system with 3 drawers. 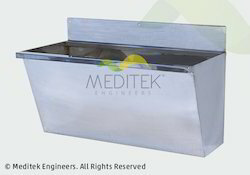 Tray for Ambu bag. Overall approx. size 390mm W x 740mm D x 1080mm H.
Approx. 25mm x 25mm square tube frame. SS tray in head low position. Modular system with 3 drawers. Adjustable IV rod & lamp arrangement. 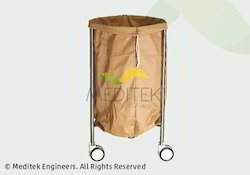 Trolley mounted on 100mm-dia non-rustiing castor. Overall approx. size 1830mm L x 680mm W x H adjustable from 730mm to 900mm. Approx. 50mm x 25mm SS rectangular tube top & bottom frame. 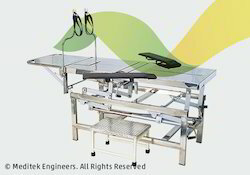 SS top with kidney bridge. 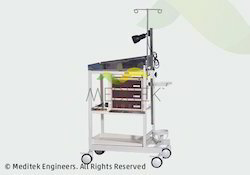 Height adjustment & head low/up by screw mechanism with SS folding handles. Lithotomy straps (code: 519) padded armboard. Height adjustable from 1325mm min. to 2390mm max. Alternative 2212-A in EPC stand & SS saline rod. Overall approx. size:Top 280mm W x 280mm D & 445mm H.
Approx. 25mm x 25mm CRCA square tube frame. SS Top & pretreated, epoxy powder coated stand with PVC bush. Alternative : (4406-A) Fully SS. Overall approx. size : Top 290mm-dia. x height adjustment 465mm to 710mm. SS Top & pretreated, epoxy powder coated base with rubber bush. Features Push type with two wheels of 100mm-Dia. Jumbo push type with two wheels of 100mm-dia. Push type with two wheels of 100mm-dia. Overall approx. size : 510mm-dia. x 940mm H.
Tubular EPC frame mounted on 100mm dia wheels. Looking for Surgical Support Items ?